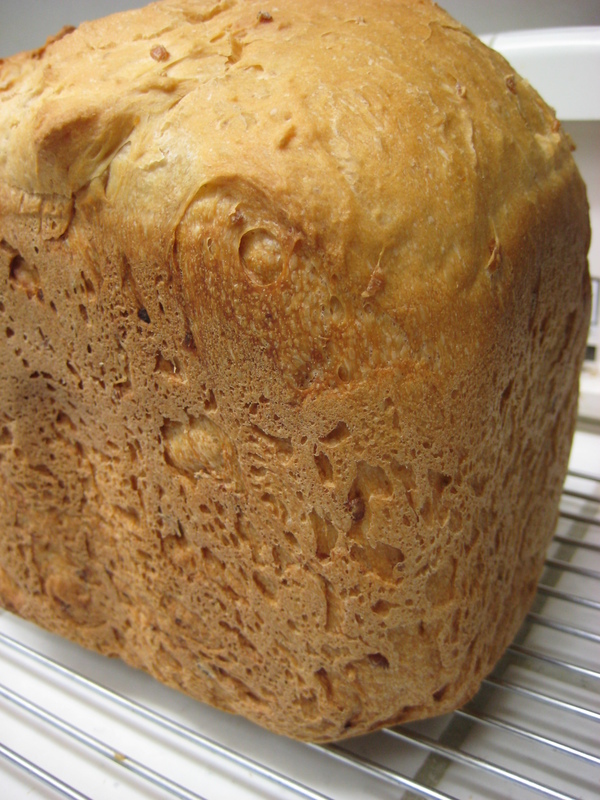 Bread Machine Bread … Machine? After one seriously botched attempt, Mom and I gave up. The “bread” smelled, felt, looked, and tasted like dried out play-doh (which it practically was). Over the years, Dad became resigned to the fact that he would never have freshly baked bread in his home. Little did he know that his daughter would become obsessed and food blogs and the DIY spirit of her foodie generation. After watching youtube clips and reading countless posts on bread baking, I was inspired and ready to try again. It started with a buttermilk recipe from allrecipes.com, but it has taken on a life of its own. I am not even sure which recipes I have tried, but I will write about the one I just did. I made a whole-wheat zucchini herb bread minus the herbs. 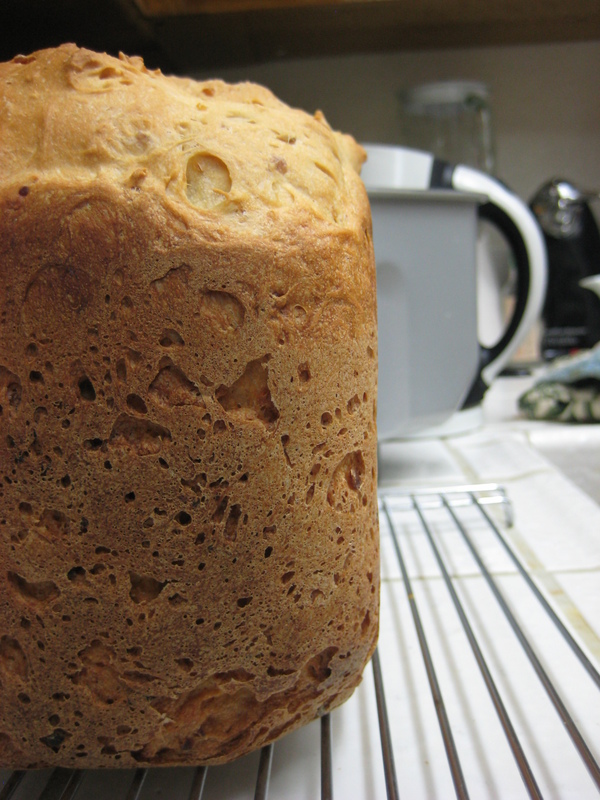 I wanted it to be a more neutral bread I could eat with peanut butter or with pasta. However … I have a tendency to mess up whole-wheat breads. Unlike white bread cycles, whole-wheat cycles warm the ingredients for thirty minutes before kneading. Somehow I did not push the bucket all the way into the machine, because the kneading paddle was not turning. This has happened before, but I could usually aid the kneading process by scraping the sides of the bucket with my spatula. This time I was too late, however, and the rest 1 portion began before the dough had formed. I canceled the cycle and started it on white instead. The dough came together well and rose very high. The last time I made this recipe, I did not grate the zucchini but chopped it. Because I did not release enough liquid, the bread did not rise enough to even fill the baking pan. This time, it rose so high it touched the top of the machine cover and collapsed, creating a mushroom-like loaf. I have not had a chance to taste it because it needs to cool. I had a nibble of a crumb, and it was very salty to me. So much for a neutral tasting loaf. I hope to post pictures tomorrow. 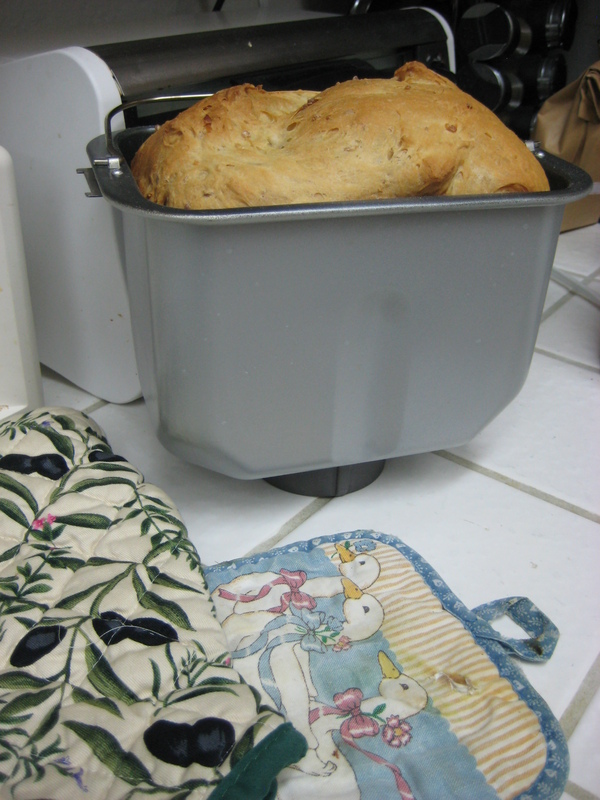 I have since found a tried-and-true bread machine recipe here and here. I love how multiple versions of the same recipe float around, even on the same website, i.e. allrecipes.com. The pictures are of Brown Rice Bread, which has yet to fail me. See how nice and tall it is?